Seeing a beautifully landscaped entrance and bordered by green fields, you get a welcoming view driving into Weymouth Bay, with a wide sandy bay and harbour only a short walk away. Enjoy the glass-domed indoor pool and outdoor pool, as well as full use of the facilities and activities of sister Park, Seaview, just next door. Fill each day in just your own way - Maybe start with a family Wake 'n' Shake session? Or It could be a morning on the crazy golf course, or in the heated pool complexes. Picnic on the beach, or grab a bite to eat in the Cafe' Bar and Grill, before learning some new family skills in one of the Archery or Fencing coaching sessions. And if your family still has the energy to keep going, the ShowBar is the place to go for a drink, live music and dancing. 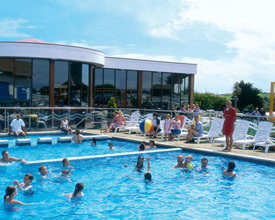 Weymouth Bay Holiday Park offers the following facilities. On the A35 to Dorchester turn off on the A354 signposted Weymouth. From the centre of Weymouth take the A353 to Preston. Situated close to the superb sandy beaches of Weymouth Bay and the picturesque harbour, Weymouth Bay Holiday park is in a great spot for seeing Dorset. Or just enjoy Weymouth with its Sea Life Centre with penguins, sharks, otters and rays while the sands and safe water of Weymouth beach and bay are some of the finest in Great Britain and Europe. North of the park there is a fantastic wildlife park at Cricket St Thomas, spend time in its beautiful grounds and marvel at the 600 rare and endangered animals. Historians should visit Corfe Castle with picturesque ruins with great views over the village. End your holiday with a day trip off the mainland to Jersey. home-style layout. Most are on one level, but some have stairs to bedrooms on an upper level. we stayed in a caravan over many years,we have been to many sites but nothing like weymouth bay.the only problem with weymouth bay its so popular you have to book early as possible.the quality of the site is fantastic cleanliness,facilities,great staff,and of course beautiful weymouth scenery and golden sands.where can you get beautiful beaches these days.our personal opinion there is no place better.HAVEN WEYMOUTH BAY IS THE BEST! 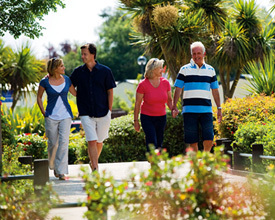 Have you been to Weymouth Bay Holiday Park? Please submit your review so that others can benefit from your experience. Important note: Information provided here about Weymouth Bay Holiday Park is based on our best knowledge. However, please check with Weymouth Bay Holiday Park before booking to ensure that you have the information required. 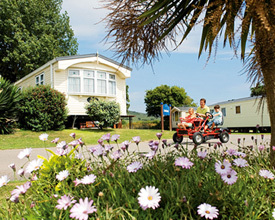 Reviews are the sole views of the contributor and do not necessarily represent the views of CampsitesandCaravanParks.com or Weymouth Bay Holiday Park.